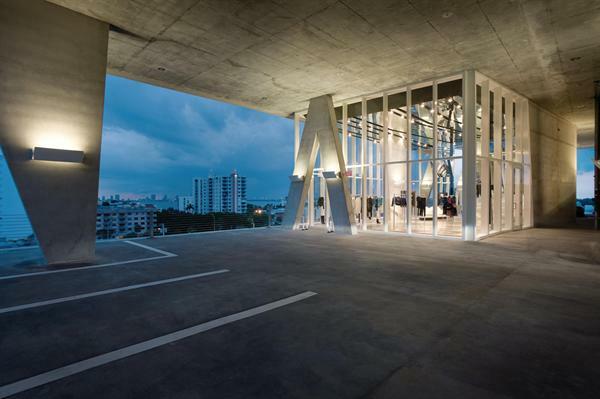 From Architect Magazine: The perfect site for a new boutique is rarely wedged into the fifth floor of a parking garage, but in Miami Beach, Fla., Alchemist is proving conventional wisdom wrong. Of course, the scenario couldn’t work with just any store, or with just any parking garage: Roma Cohen and Erika Sussman already have a successful boutique farther down the street and a devoted clientele, and the setting is 1111 Lincoln Road, the Neapolitan-like Herzog & de Meuron design that merges parking, retail, and residences, and anchors the western terminus of Miami Beach’s main retail allée. Read the story and see more pictures here!